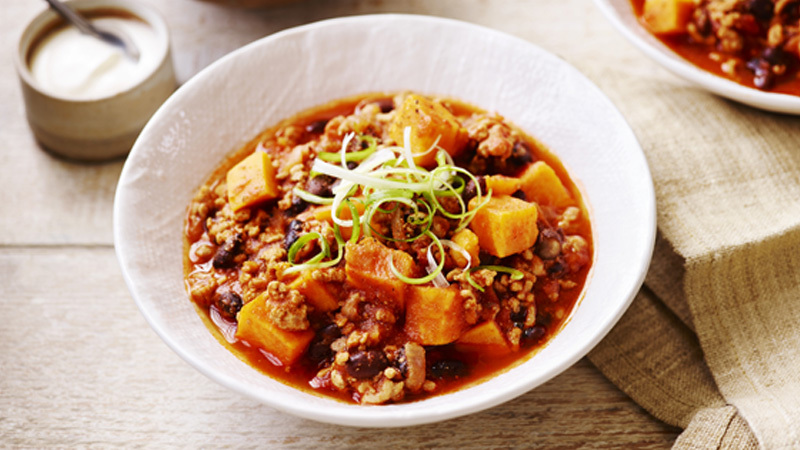 A hearty and warming chilli made with pork mince and chunks of sweet potato that all the family will love. 1. Heat the oil in a large deep frying pan or flameproof casserole over a medium heat. Add the onion and fry for 5 minutes until softened. Add the garlic and fry for a further 2 minutes. 2. Add the pork mince to the pan and fry over a high heat, stirring all the time, until no longer pink. Stir in the chilli seasoning mix and sweet potato and cook, stirring, for 1 minute. 3. Stir in the tomatoes, tomato puree and water. Reduce the heat to a simmer, cover and cook for 35 minutes until the sweet potatoes are just tender. Stir in the black beans and cook, uncovered, for a further 10-12 minutes until the sauce has thickened slightly. Season to taste with salt and freshly ground black pepper. 4. 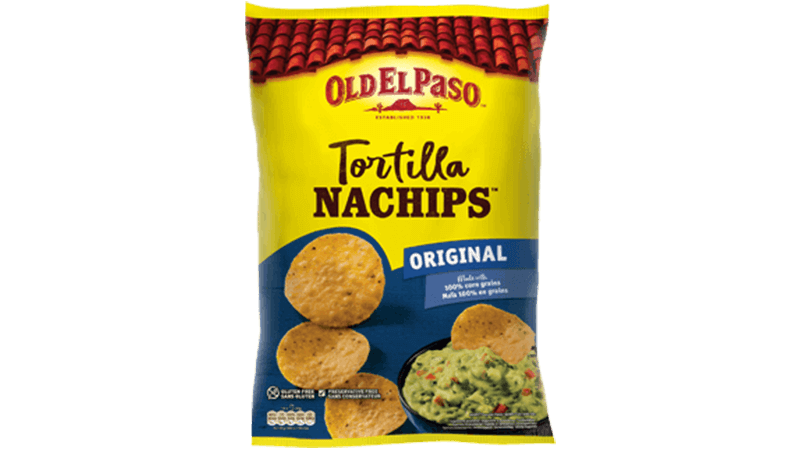 Serve in warmed bowls topped with Greek-style yogurt, shredded spring onions and a sprinkling of freshly ground black pepper, with Nachips™ on the side. Replace the sweet potato with chunks of peeled butternut squash, if preferred. 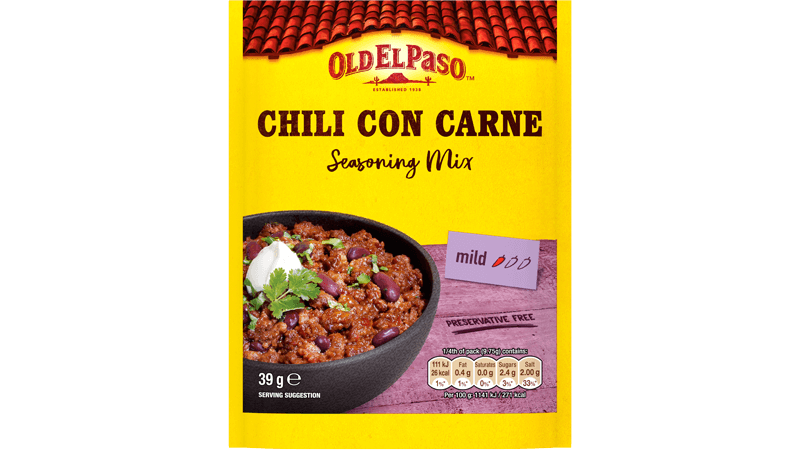 This chilli freezes well. Leave to cool completely then pack into freezer-proof containers and freeze for up to 2 months.